Home / Features / The Most Important Mod! If you haven’t figured it out by now, the single most important thing you can do to your machine is swap the wimpy stock roll cage for a quality-built one, preferably one that ties into a strong set of front and rear bumpers. The benefits of a cage-upgrade are numerous, first and foremost you and your passenger are much safer in case you roll the machine. Second, your UTV will handle terrain better and be less vulnerable since the cage helps to tie the frame together. If you wisely went with a shorter-than-stock roll cage you can also transfer some top-heavy weight lower to the ground – making the UTV a little less tippy. What’s more, a lowered roof allows you to fit under tight spots on the trail or track and it just might be the difference in fitting the vehicle through the door opening in your enclosed trailer. Plus, I can’t not add the fact that a Side-by-Side looks SO much sharper with a roll cage upgrade. Get your priorities straight. A good cage, harnesses and seats should be the first and most important thing you do to your UTV. We had a few choices for this build, we could try to build our own cage from scratch, order a kit and weld the pieces together, order a complete cage from a quality fabrication shop out west and pay to ship it or drop the machine off somewhere and let someone else tackle it all together. 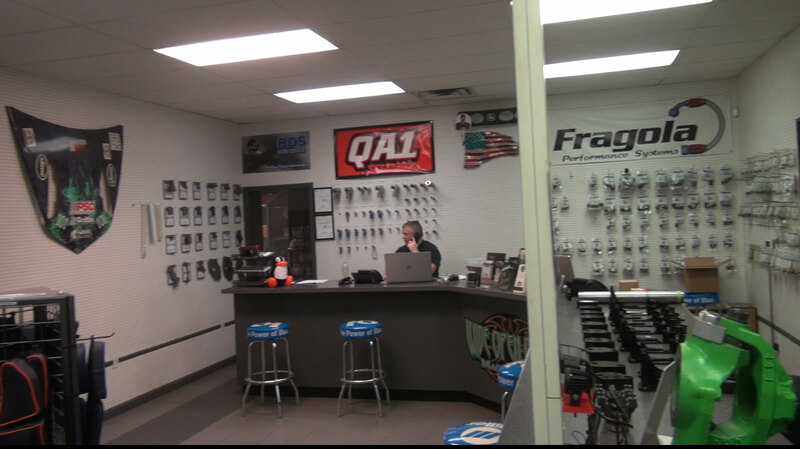 Lucky for us, one of the most impressive off-road fabrication shops east of the Mississippi is only a few hours from Project Mighty RZR headquarters. We dropped the machine off at Wide Open Design in Murfreesboro, TN where the hardest thing we had to do was figure out which one of Wide Open’s cage designs we should pick and what color would be best. Jackie inspects the cage while thinking of his soon-to-come first race. 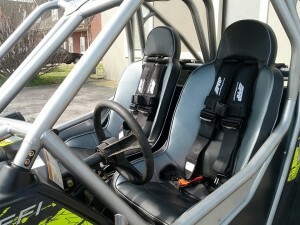 Before I go into the details of our new roll cage, here’s a little recap on where we’re at with the project… Mighty RZR probably should have chose not to accept its first mission, which was to compete in the 900 and 1000 classes at the now defunct “Delta Motorcross Series”, a short track UTV race series that promised $30k purses at each round. We got sucker punched pretty hard on this one. Our brake little mouse was born when we figured if we built the hell out of a new RZR S900 we could win a bunch of 900 class races and use the same machine to possible podium in Delta’s non-turbo 1000 class. We were confident that Mighty RZR would be our little money-making hero. On a really good night we could win $7500 in the 900 class and another ten grand in the 1000 class – That’s almost twenty grand all for doing what we love on a Saturday night! Oh what could have been….? Of course the series didn’t even last two rounds. It was just pie in the sky, it’s gone and now we have a Frank-Batista-built bored and stroked 1107cc engine that’s illegal in most race series, (more on Mighty RZR’s engine mods in an upcoming episode). Most – is the key word. After doing some research and making some calls, I found a few premier racing series that do indeed allow big bore engine mods in their open classes. Granted Mighty RZR will have to battle with the built-up turbo missiles that are usually driven by the best professional off road racers in the business, but who doesn’t like an underdog story? And who knows – I think we just might even have a few advantages with our not-so-ordinary race entry. The plan is to finish our Mighty RZR project within the next few months and race it at the IXCR (Indiana Cross Country Racing Series), TORN (Texas Off-Road Nationals), the Extreme Dirt Track Series and wherever else our hero is needed. 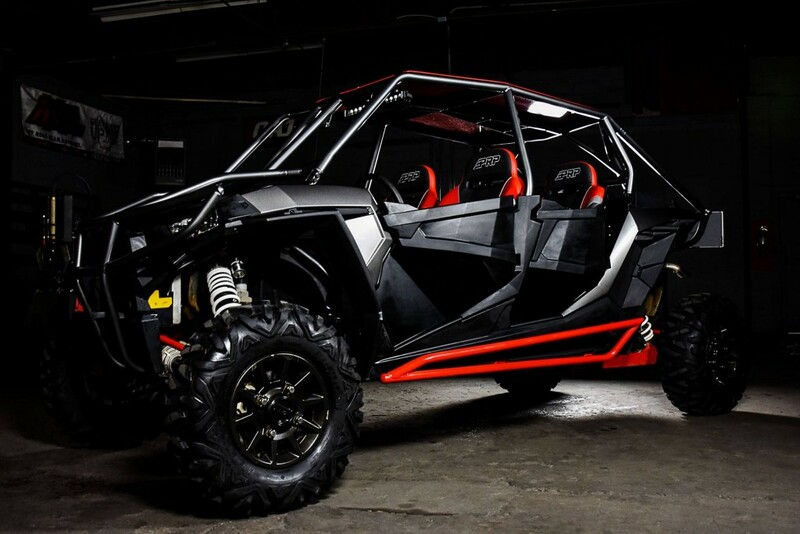 This RZR S900 features Wide Open’s Venom cage. As you can see, it looks just as sharp as our Rolled Roof design. 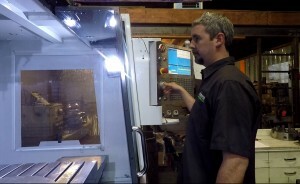 CEO of Wide Open Design is Adam Woodlee seen here hard at work on WOD’s CNC Machine. Adam’s off road fabrication history is impressive to say the least, don’t believe me click over to the Project’s Page at WOD’s website to check out some of his and his crew’s creations. 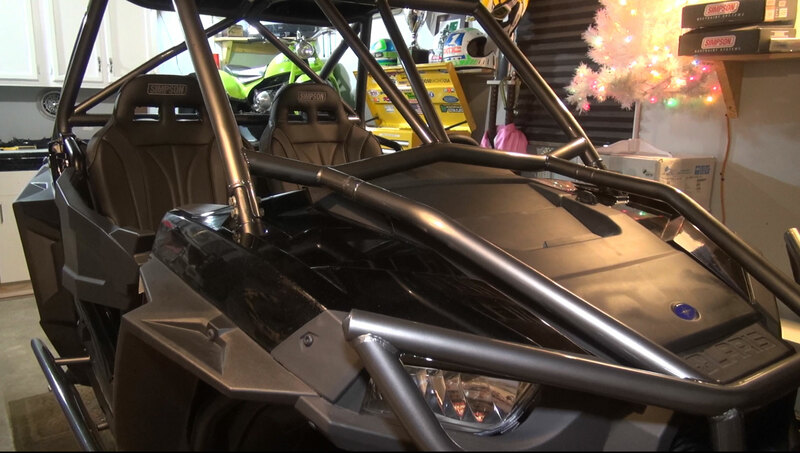 As it says in the title, the single most important mod you can possibly make to your UTV is a good roll cage, this was the first thing we did to the machine and we didn’t take the decision lightly. I researched and found a few options to consider. There are kits out there that look pretty decent but you need to weld the pieces yourself. That’s a hassle on many levels. Some ATV fabrication shops now offer cage systems but with no disrespect I much rather put our lives in the hands of a fabricator outside of the ATV industry, nobody has years of experience building roll cages around quads, right? Jackie and I agreed, the goal was to drop the machine off somewhere and let a professional with lots of experience build the safest cage money can buy. There’s plenty of reputable class act shops like this on the west coast, but you don’t find too many east of the Mississippi. 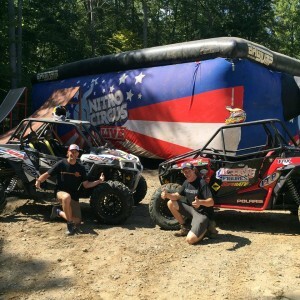 Travis Pastrana and the Nitro Circus crew relies on Wide Open Design Cages to keep them safe, so we know they;re built for abuse. There’s one major feather in our hats after all these years in the ATV and now UTV industry, and that’s the fact that Jackie and I are good friends with just about every big name racer and industry person out there, this is especially valuable as we begin to explore UTV racing on the professional level. With this I feel that we have an inside scoop on what works what doesn’t, who to trust and who not to more than the average new UTV racer does. So when one of my good friends and fellow UTV Scene test rider and contributor Brit Mansell told me not to look any further than Wide Open Design I knew who would be building Mighty RZR’s cage. 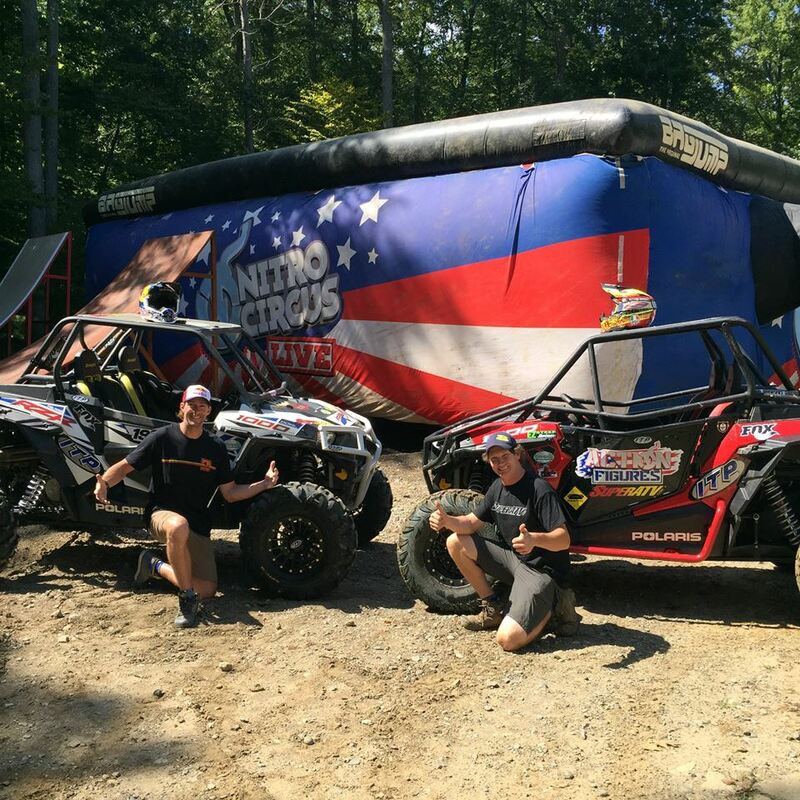 Besides Brit’s recommendation, Travis Pastrana and the guys from Nitro Circus rely on Wide Open Design cages in their RZRs, if that’s not a good indication of Wide Open’s ruggedness I don’t know what is. I met with owner Adam Woodlee and got the tour. Besides the material, methods and impressive past experience in the off-road industry, I learned that Wide Open is quite serious about their expansion into the UTV scene. 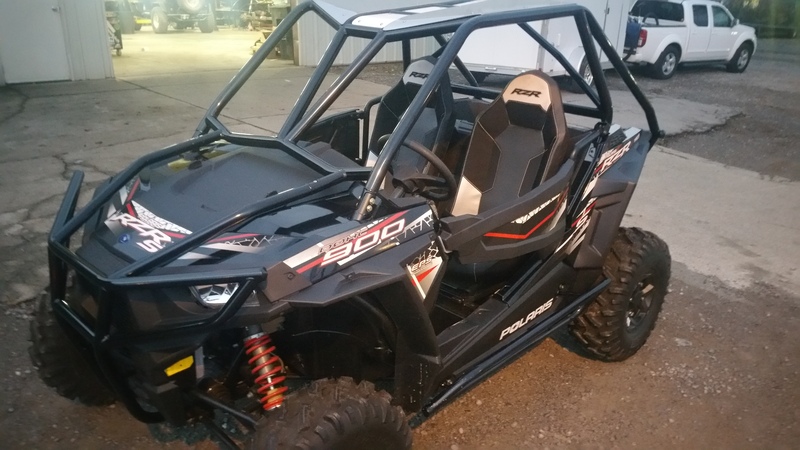 They already had several jigs made up for cages, bumpers and nerfs for other models dialed in and were in the final stages of launching their new RZR S 1000 and S 900 products. We now have a professionally built 1 ¾ X .120 American-Made 1026 Drawn Over Mandrel Steel roll cage system that ties into Wide Open’s aggressive-looking front and rear bumpers. I especially like how the curved aluminum roof fits to the contours of the sleek modern-looking cage, which is fastened with Grade 8 bolts with rubber softeners so there’s no annoying vibration to deal with. No cutting corners at Wide Open Design. Check out this beauty. This isn’t our machine but we can’t help but display it here. This beauty proudly wears WOD’s Rolled Roof cage like ours does. We could choose from six different cages; their Aggressive, Sport, Flat Roof, Venom, Custom or Rolled Roof designs. I will admit their Venom design was tempting, but we opted for the Rolled Roof model powder coated in Gun Metal Gray. Yeah it’s sharp, no doubt about it! Besides the cage and bumpers, WOD’s Tree Huger heavy duty nerf bars will help deflect trees and competitor’s wheels from getting between ours. They’re fastened in three places with beefy mounts. We haven’t put them or the cage to the test yet but everything looks to be more than ready for the part if you ask me. This Rolled Roof cage system with the added front and rear bumpers was less than $1700. And if you need something more affordable you can get a Wide Open Design cage for as little as $1000, those are great prices for this kind of material and craftsmanship. 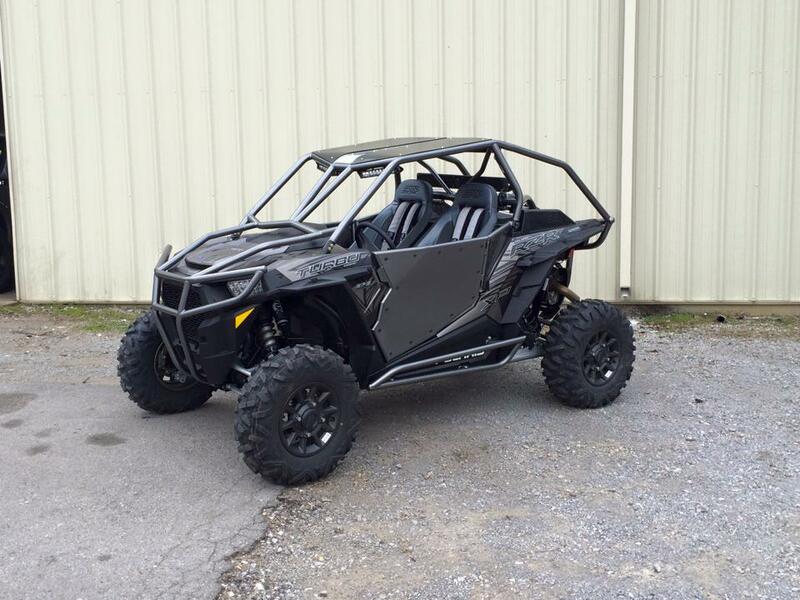 I have to say the overall look of our little Mighty RZR is so much meaner-looking than what the tall tippy boring stock cage did to the appearance of the machine. 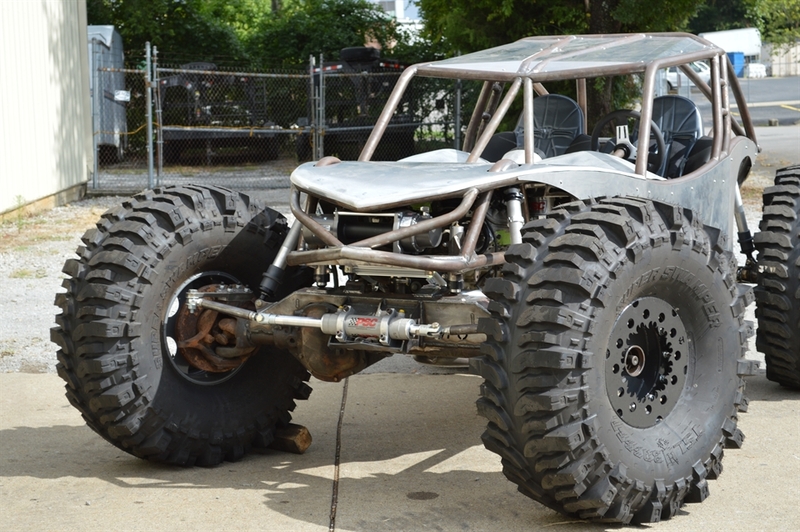 It looks less cargo-vanish and more the part of a sleek nimble off road racing machine. I like that it’s lower too, our overall height is almost six inches shorter than stock – perfect! Click over to wideopendesign.com to learn more and be sure to click their Projects page. You won’t believe some of the projects that Adam and his team at Wide Open have built over the years. It’s nice to know they have this kind of experience – and that this is the kind of ingenuity and craftsmanship you can look forward to getting for your hard-earned money. This is one of many jaw-dropping machines built by Adam and his team at Wide Open. Yeah, they have you’re UTV needs more than covered! They’ll ship your cage and parts but if you’re anywhere near Tennessee I highly recommend you just bring your machine to them so it ends up correctly done. Look for more Mighty RZR content as we prep our little mouse for battle. Be safe out there – upgrade your cage!